Ever since we brought out the Type 1 Wishbone Setup we have been asked when we would do one for the Type 2’s. Once again we deliver the goods! Give your Bus the ultimate handling upgrade. 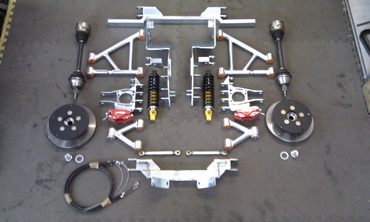 Twin wishbone coilover suspension with rack and pinion steering….and it all bolts on. 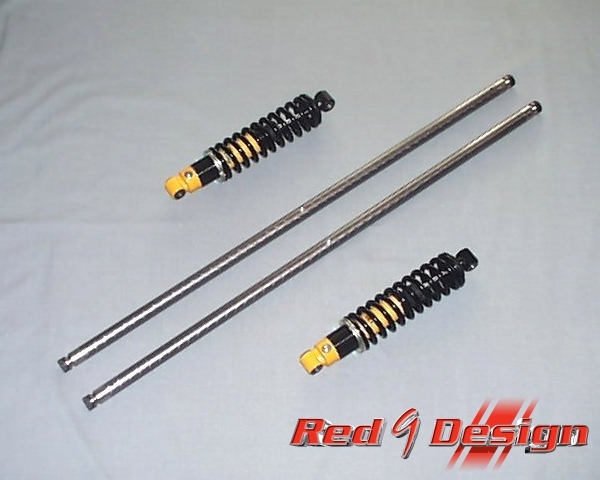 Our kit bolts on to your chassis, replacing the beam. Comes complete to the spindles and includes rack and pinion steering. Adjustable for height, stiffness, camber, caster and toe! We think we have got all the bases covered with this one! Once again a bolt on solution for the Split Screen IRS an so much more. Our setup includes everything you need except the gearbox. Why? Because you can use any gearbox you like from the ubiquitous Beetle IRS ‘box to Porsche or any other you care to try! 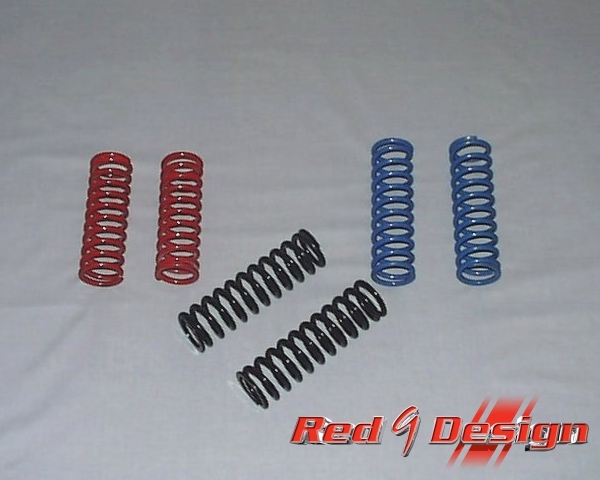 We supply the whole suspension setup(Wishbones, coilovers and support framework), driveshafts and rear disc brake arrangement c/w handbrake…and the other bonus is they are all new parts. 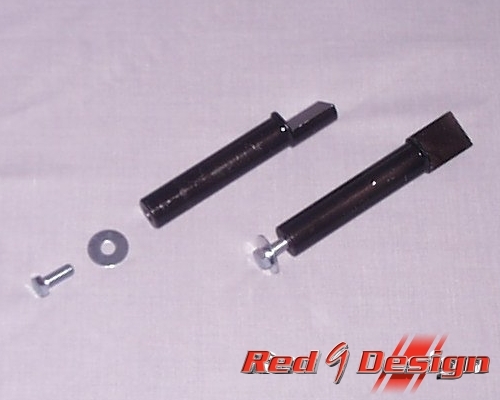 Our kit bolts on to your unmodified chassis, replacing all the stock parts. Comes complete just requiring you to add your choice of gearbox and bolt your wheels on. 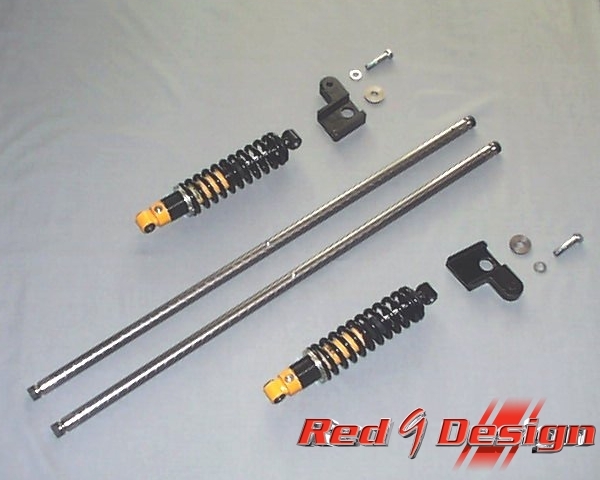 Fully adjustable for height(from 3”-5” drop), stiffness, camber, and toe! 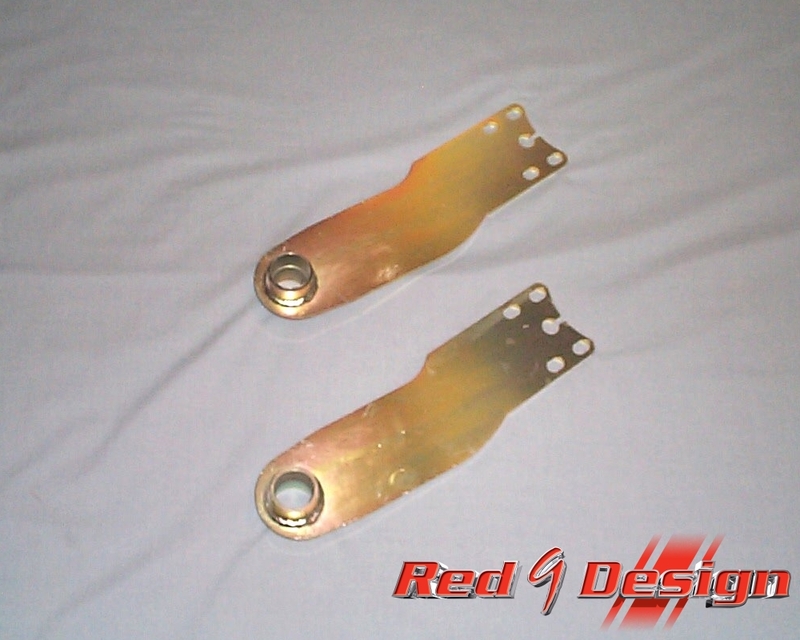 As usual we use readily available wear parts so you kit can be maintained at reasonable costs. ...more pics. We made this to accompany our Subaru install, but there is no reason why it can not be used as a replacement for the stock tank. It has the stock Bay Window fuel sender mount and Pickup pipe in the bottom face. The filler and breather pipes attach to the standard tubes on the left hand side, internal baffles and a fuel return facility for injection setups in the front face. Its the largest thing we could squeeze through the stock hole in the bulkhead an will fit behind the cover plate in the Bay Window engine bay (a hole is required for the fuel return). 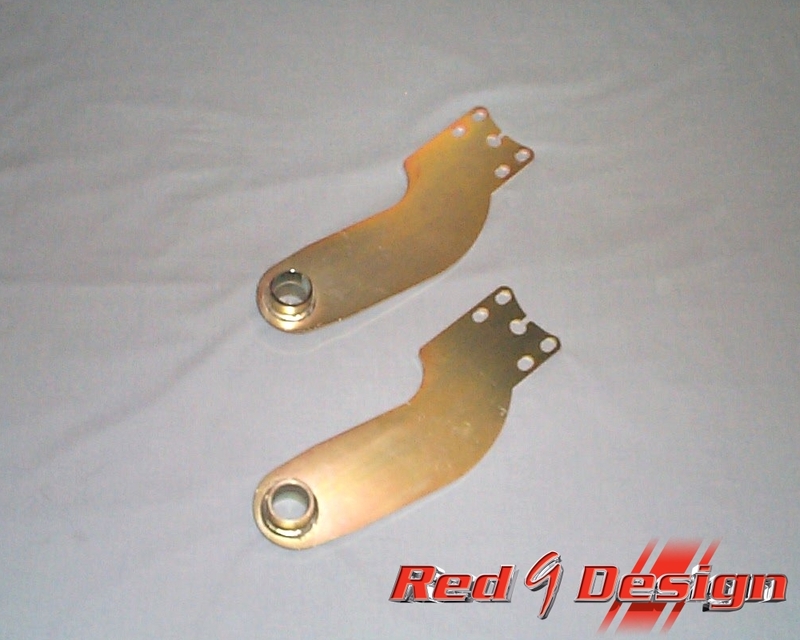 It also, comes with an external strainer suitable for mounting in front of a fuel injection pump. Can be fitted to Split Screen Bus too, but will require modifcations to your Bus. Lower your Bus and have the best ride quality available. Fully adjustable for height and damping. Proven quality components and easy fitment. No cutting or welding required. No special tools needed. The ultimate rear ride quality. Stock ride quality and carrying capacity is maintained. 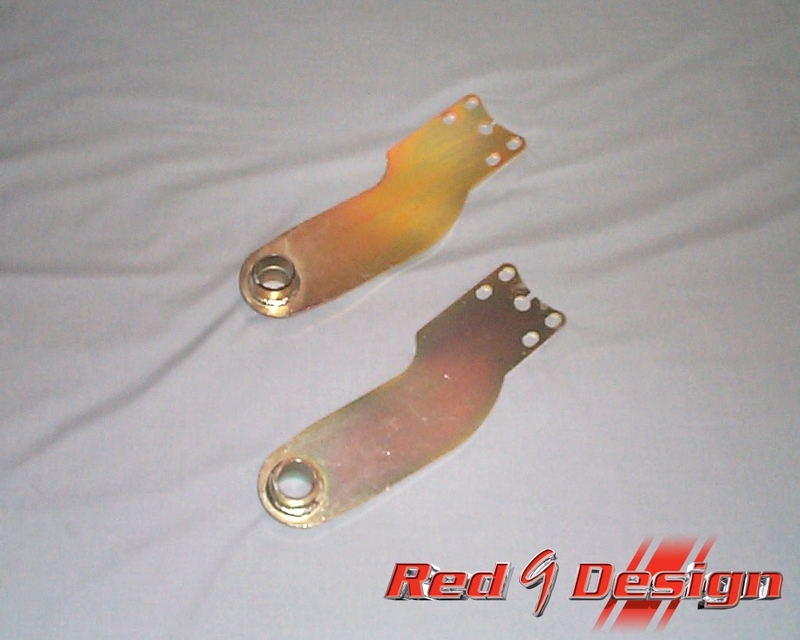 Why spoil your ride buy being a cheap skate and turning the spring plates its rubbish and we all know it is….move on! 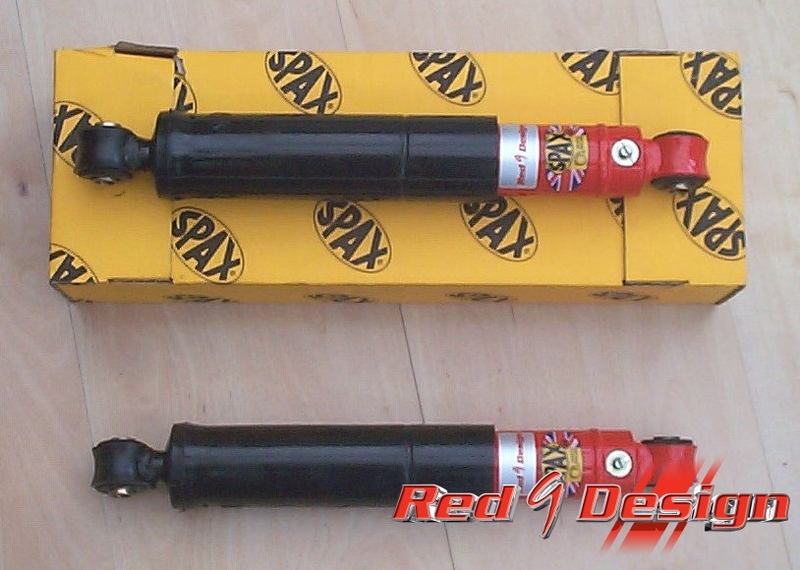 SPAX Adjustables to give your rear end a boost! The final touch for the complete setup. SPAX Adjustables to give your rear end a boost! 9”, 10”, 11" and 12" in various rates. Used to adjust your EZ Rider Coil- overs.